“We are working hard with governments to improve transparency, governance, accountability and project delivery across the continent. Corruption does not invest in the future, it kills the future,” Akinwumi Adesina, President of the African Development Bank said at the World Peace Summit of Global Leaders. According to the World Economic Forum, an estimated USD116 billion a year would be required to feed the world and end hunger. It would also take USD8.5 billion a year to eliminate malaria. “That’s only 0.28 per cent of what’s lost to corruption globally every year,” said Adesina. “It would take USD26 billion per year to send all kids in the world to school. The International Atomic Agency estimates that USD 31 billion per year would provide energy for all in the world. That’s just 1 per cent of what’s lost annually to corruption globally,” he added. 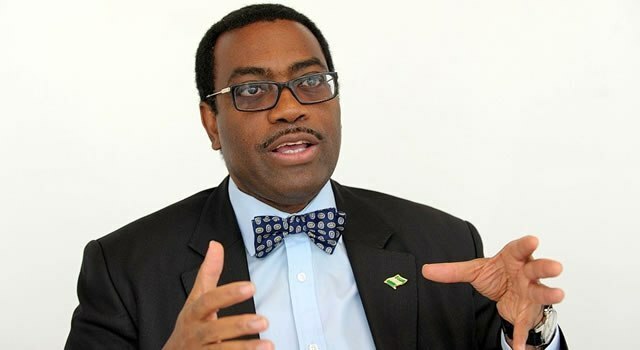 Pitching Africa investment opportunities to government and business leaders during his visit to Seoul, Adesina said, “There is no better time to invest in Africa than now. The Africa Continental Free Trade Area is projected to make Africa the largest free trade zone in the world, with an estimated combined GDP of over USD3.3 trillion.